Why dj should make a playlist? Perhaps this question has not occurred to you who are just getting into the world of djing. You might think, when he saw a dj performing at various events they only play songs without made the list, first. In fact not the case. Before they appear at an event, they had prepared the songs they will play. Why? The reason is that if they do not create a playlist of songs, at the time appeared to be in trouble. Deciding the next song to be played in front of the listener. At the time of performing normally would experience a panic. Maybe it will come out in a cold sweat if not accustomed to performing, hehe .. But there are some dj who was a senior, when they have mastered the songs performed, and did not make previous playlist. By creating a playlist before appearing, then easily dj will play the songs in the order in the list. The previous song in the list they've listened to at home, to determine where the track first, and that is where the second song, and so on until the end of the event. 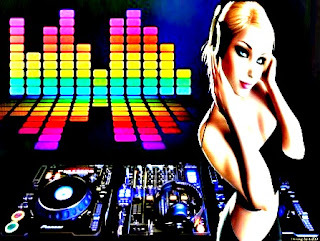 For you are a beginner in djing, must learn to make a playlist properly, so as not to become confused while performing. If you are using a CDJ player, the CDJ 2000 for example you can set the first song will be played using the software, recordbox. Generally, the use of software dj recordbox to create playlists, and analysis of the song. Create playlists using the VirtualDJ software is also very easy to do. If you use the software, which is connected with usb dj controller. So, I suggest if you want easy when performing djing, previously had to create a playlist of songs. better to make a list of songs grouped every kind of music. This avoids the time groove music be played up and down, because this is not good. Will make the dance floor was deserted. You can get nice song tracklist here -- tracklist 4 dj.